The history of counterterrorism in the United States is more than a list of policies. It shows how the definition of terrorism and the agencies and tools used to pursue those who commit it have evolved over time. 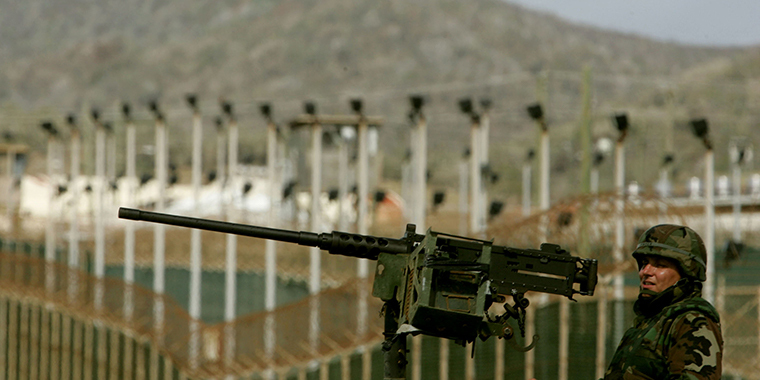 A U.S. Army soldier stands guard from atop a tower at maximum security prison Camp Delta at the Guantanamo Naval Base on August 25, 2004 in Cuba. It is easy to imagine that U.S. counterterrorism policy began as a response to the September 11, 2001 attacks. But, in fact, efforts to stop terrorism spanned the entire twentieth century—though who was designated a terrorist, and how seriously the threats were taken, shifted dramatically over time. Once considered a criminal act, terrorism is now seen by U.S. policymakers as an existential threat, both at home and abroad.